Kareena Kaoor shopping of 40 Lakhs in london in 1 day. Kareena Kapoor had done Rs. 40 Lakhs shopping in LONDON in only one day. Bebo went with her mom and her designer sabinakhan for shopping. She bought Watch , Purse, Jewellery and Mobile phone. 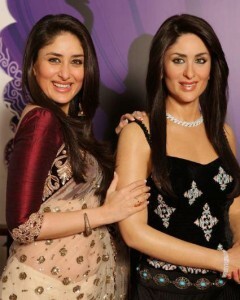 She went London for in Inauguration of her Wax Statue at Mammadame tussauds wax museum . Whatever, Saif was not with kareena becuase of busy schedule of his upcoming movie Agent Vinod.